Hala entered the Rough Terrain Forklift market in 2016 with its first product, the 4X2 Wheel Drive with differential lock. 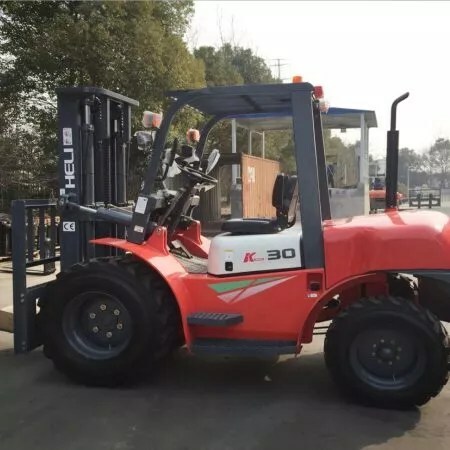 With its mild off road ability, this Rough Terrain Forklift is ideal for farms, road surfacing, construction, mining, mountains, beaches, dirt roads etc, especially in the Middle Eastern terrain. There are various configurations available to you with specialized attachments. Give us a call and we can help you choose the best forklift that is suited for your requirements and your budget.